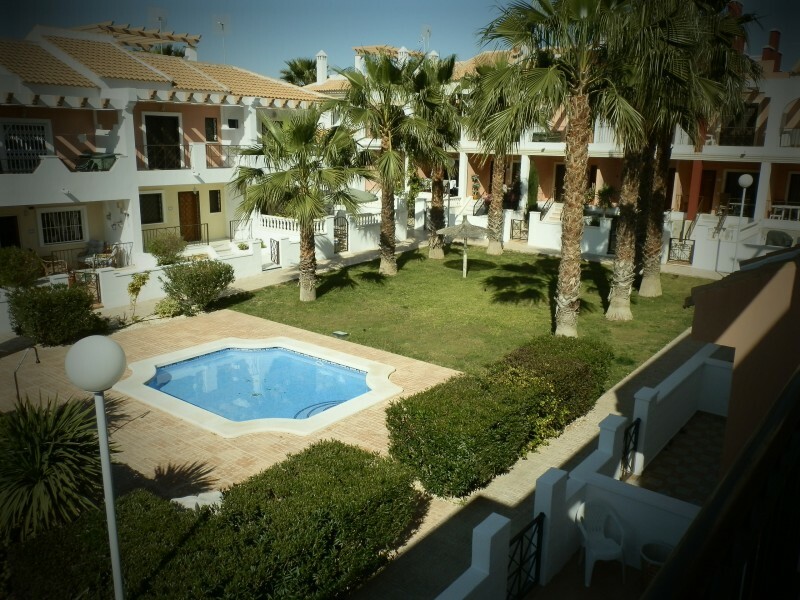 A SPACIOUS PROPERTY IN DONA PEPA(CIUDAD QUESADA) ROJALES AN IDEAL AREA FOR YEAR ROUND LIVING OR A HOLIDAY HOME AS IT IS LOCATED ONLY 10 MINUTES FROM THE BEACHES OF GUARDAMAR AND LA MATA AND 30 MINUTES FROM THE AIRPORTS OF ALICANTE AND MURCIA.SET IN A PLOT OF ABOUT 130 m2, AND A LIVING AREA 100 m2,OVER TWO FLOORS WHERE YOU WILL FIND TWO GOOD SIZED BEDROOMS BOTH WITH BUILT IN WARDROBES,ONE FULL BATHROOM ON THE FIRST FLOOR WITH A SECOND SHOWER ROOM ON THE GROUND FLOOR PLUS A GOOD SIZED MAIN LIVING ROOMWITH ARCHED DINING AREA AND AN INDEPENDENT FITTED KITCHEN.OUTSIDE YOU HAVE A SMALL FRONT GARDEN AREA WITH RAISED TERRACE AND TO THE YOU WILL FIND A FURTHER TERRACE AREA LEADING TO THE COMMUNAL GARDENS AND SWIMMING POOL´S. A PERFECT SECOND RESIDENCE!! !